18 year old Josh Hutcherson has been one of Hollywood’s most accomplished young actors for almost 10 years. Josh can currently be seen in The Kids are All Right, which took the best feature film prize at the Berlin International Film Festival’s Teddy Awards. This is the 2nd go around we have done with creating Josh’s Fan site. This time we went with a more friendly fan version. 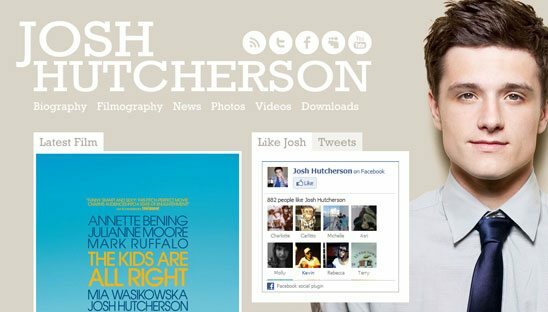 Made everything very easy for fans to check out all of Josh’s recent news, social networks, recent films, downloads and much more. We also opened up the comment system so fans can now comment.